Samsung beats LG and steals the show by introducing the world’s first Curved display smartphone, Samsung Galaxy Round. LG G Flex will follow soon in second spot. The surface is curved at the center protruding outwards towards the side edges and bears Note 3 like specs! Is it cool or is it another gimmick? The display will definitely make the large screen phone easier to hold and it will be easier to reach the far corner using your thumbs. The display will be more durable and if it’s the flexible plastic on top of the curved display, it will be a very durable Note 3. However it still remains to be seen if there is some significant enhancement in the outdoor visibility due to reduced glare and if the phone defeats the purpose of big screen by making it appear smaller. The curve has taken its toll on the battery which is now smaller at 2800 mAh. The phone is only 7.9 mm thick and weighs 154 grams which is lighter than Note 3 and that adds to “comfortable to hold” part. The Super AMOLED Flexible display is 5.7 Inches in size with Full HD resolution. It is powered by 2.26 GHz Quad core snapdragon 800 processor supported by 3 GB RAM. The internal memory is 32 GB. The phone sports a 13 MP primary camera at the back and a 2 MP shooter at the front. 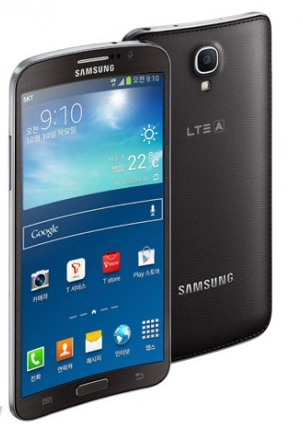 The phone operates on latest Android 4.3 operating system. 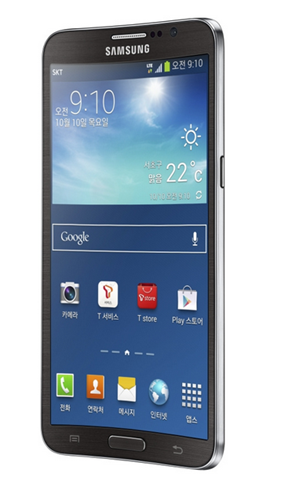 Thus all specs are similar to Note 3 except for the smaller battery. Samsung has also provided with a software feature to take advantage of large screen just like it did with note 3’s special feature, The S-pen. You can tilt the screen to view notification and info like missed calls, battery life, etc as is demonstrated in the video below. Features like Side Mirror have also been added which will give you list of album contents when triggered by phone tilts. Samsung Galaxy Round will start shipping in Korea tomorrow onwards for a massive $1000. Yes the phone is quite Expensive. Would a curved display device be worth it to you at this price range? Let us know in the Comments section below. You can also read our article on why we need Curved display smartphones published earlier.